Everyone is welcome at our Business-Building Workshops and DIY Events! So, grab your brother, best friend, or neighbor and get ready to learn! Come one, come all! 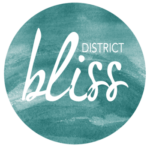 District Bliss Workshops and DIY Events bring talented creatives and entrepreneurs together to teach crazy awesome things from how to attract your ideal client to screen printing to floral arrangements, photography techniques, interior design, hand-lettering, social media, website design, branding, and much, much more! We offer both in-person and online workshops – so even if we haven’t expanded to your area, you wont miss out!